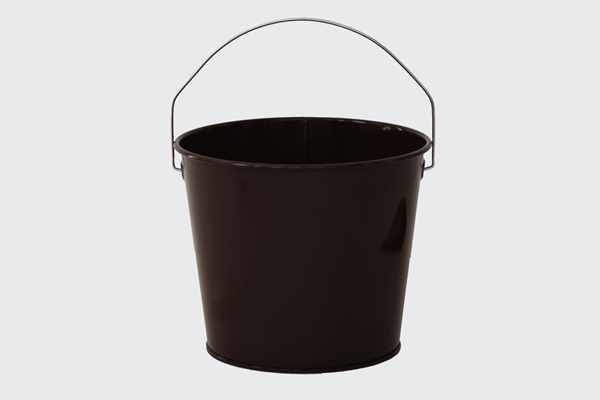 These 5 quart colored metal buckets come equipped with a side handle and optional plastic lid, making them ideal for storage applications, especially because they come in a wide variety of colors. Use these 5 quart pails to creatively organize craft supplies by choosing colors to match your home or pick one color for each child's toys. There is no limit to the practical and decorative uses of these colorful storage pails, and their smooth painted finish makes attaching labels a breeze. Order in single or case pack dozen quantities. Plastic storage lids sold separately. For larger options, explore our colorful 10 quart buckets and 4 gallon large colorful metal buckets. We also carry smaller 2 quart colorful metal storage pails. They came fast and the paint came unchiped and looking great!